With everyone working harder and harder in achieving “beautiful design” zen, it may be hard to believe that a design lacking in creative beauty may subconsciously attract more visitors/users. But it’s true! If you’re a tech-head, consider Norton Ghost and its hard drive imaging application. Do you trust the windows desktop application version, or the DOS version? I prefer the latter — it just feels more stable and single-purposed. 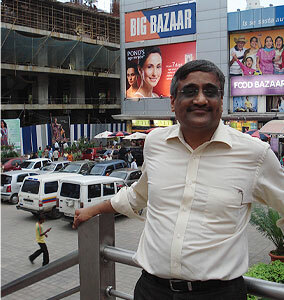 If you’re not a tech-head, then consider Mr Kishore Biyani, an Indian retailer who revamped his shops to make them look cluttered and disorganised. His target market — lower middle-class customers — felt like the goods were fresh and felt more at home in the ‘mess’. “The shouting, the untidiness, the chaos is part of the design,” says Mr. Biyani. Could your product or service benefit from a messy design?